Release Date: 31st August 2015 ~ TOMORROW!! And this book had all three in spades. This book carries on from Famous and continues Brook and Caden’s story. Brook and Caden still have to hide their romance what with the film production company setting all the rules and trying to make it as difficult as possible for these two to continue their relationship. It seems that the world is against them and it is proving more and more difficult to keep their love for each other on the down low. What Brook and Caden have is on par with Ryan and Julia, the characters that they are portraying in the film. It is that all-consuming, extremely passionate and I cannot live without you kinda love and when two people feel that strongly about each other you know that even the smallest problems become mountains. Brook was sometimes frustrating but I found myself taking into consideration her age, I sometimes forgot just how young she was. I think that because I read Ryan and Julia’s story soooo long ago you automatically place them a lot older than they are and her thought processes and actions were definitely indicative of her age but sometimes I just wanted to jump into the kindle and shout at her, HE LOVES YOU!! Brook still has self confidence and self esteem issues but slowly but surely you could see her get more comfortable in her skin and stronger in her relationship with Caden. Caden as usual was adorable, this guy just pulls at my heart strings and you cannot help but fall in love with him. He is confident without being cocky yet still shows that vulnerable side and he definitely wears hi heart on his sleeve. He is so passionate, so romantic and is head over heels for Brook and he doesn’t care who sees. His patience is running thin and he will fight tooth and nail for them. He believes in them and he wants the world to see. Who has the power? Caden and Brook, or the production company? Hiding from the paparazzi, smoke and mirrors, lies, deceit and deception aplenty this book has it’s fair share of angst to keep you heart pumping, but this is perfectly balanced with that all-encompassing love fest that continues between these two. As I said above Kahlen Aymes writes romance like a killer queen, she nails it every time, she is the demon of emotions and you feel it all reading their story. You live their lives, you get so emotionally involved that you cannot help but feel their love, pain and confusion. Through some masterful words, paragraphs and chapters you are whisked away on a passionate yet tumultuous love affair that will have you smiling one minute and crying the next. I cannot wait to see where these two end up. Will it have the fairytale ending like Ryan and Julia or will it all go to pot? If these two were left to their own devices they would succeed, no questions, but with fame getting in the way, will the outside pressures prove too much? 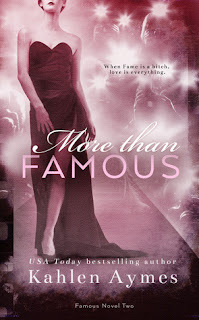 Gah, the wait is going to kill me, hurry up, I need Beyond Famous!! 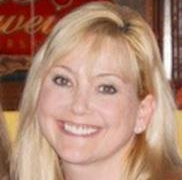 Kahlen Aymes is a USA Today best selling author who writes steamy romance novels that cross genre lines between New Adult, Adult Contemporary and Erotica. Kahlen has been on several bestseller lists including Barnes & Noble, Amazon, Smashwords, Publisher's Weekly, iBooks and USA Today! She began her writing career writing Twilight Fan Fiction and won multiple awards in the genre, including BEST Author, BEST Robsten, Best All-Human that Knocks You Off Your Feet and several others! Her interests include reading, as well as writing, theater arts, cooking, roller skating and going for long walks. She is the proud mom to one teenage daughter and two golden retrievers. She LOVES writing more than most anything else in the universe, and you can count on her to deliver strong, relatable characters, deep and detailed plots, and emotion overflow! Looks so good. Thanks for the chance. These cover are stunning. Thank you for this wonderful chance! It looks good. Thank you.